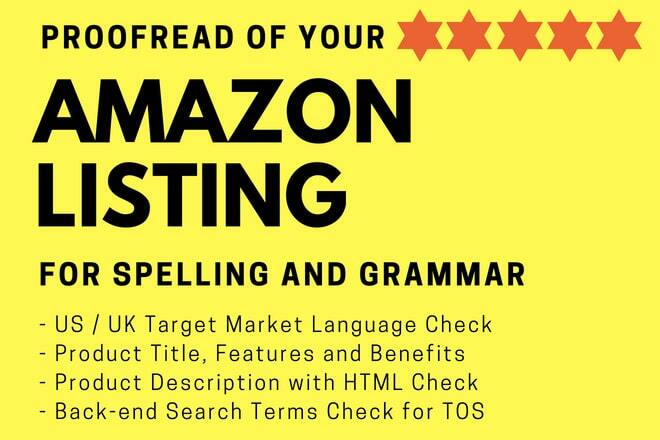 Hello, I'm Arabella, founder of Optimize My Listings and a Direct Response SEO Copywriter for the Amazon.com and Amazon.co.uk marketplace. I am passionate about copywriting and love what I do. Having optimised listings since 2016, I have acquired a wealth of experience writing sales driven SEO copy for hundreds of Amazon products, across a range of niches and categories. The clients I work with range from first-time sellers to eight-figure Amazon powerhouses. 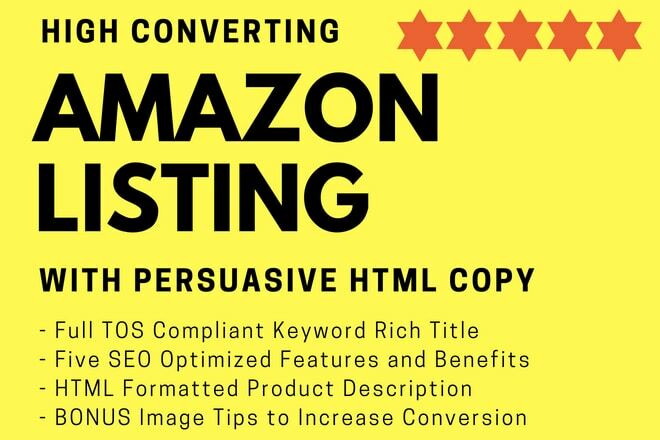 Whether you're just starting out on Amazon or a seasoned seller, I can help you to maximize keyword ranking, boost conversion and convert on-page Amazon shoppers into buyers. 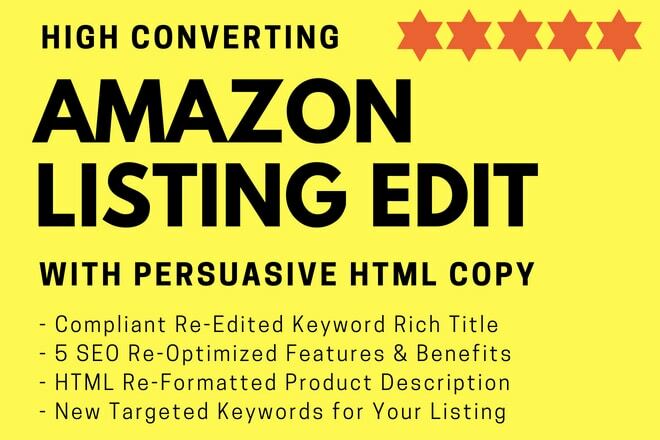 I understand the importance of optimizing listings for both Amazon's A9 algorithm and the shopper - creating that perfect mix of sales copy and SEO, so your product will be found in search, helping you to then close the sale when a buyer visits your listing. With excellent written and communication skills you can be confident that your listings will be written in perfect English (English US or English UK, tailored to suit your marketplace audience). As an experienced and battle-tested 3-year Amazon seller who is active engaged in the Amazon community, I am quick to know when TOS changes come into effect. As a result, my clients are able to benefit from that expertize, knowledge and insight, which is reflected in the work I deliver. Why should I choose you to optimize my listing? Invested in helping others achieve success, I have personally consulted with over 300 business owners and optimized hundreds of product listings. 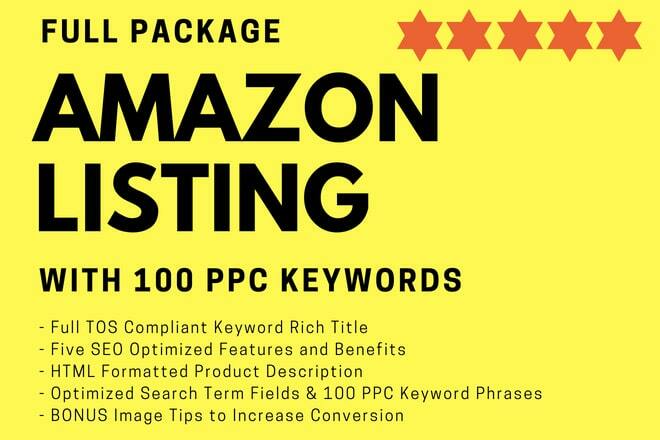 A dedicated copywriter and keyword data enthusiast, I am a leading authority on Amazon Listing Optimisation and was recently a guest on the popular European podcast, Seller Sessions. If you're struggling to convert sales on an existing listing or launching a new product and don't have time to study the art of copywriting and SEO, get in touch by sending an email to [email protected] - I'd be more than happy to help!